I’ve had this post done for a week now and I can’t wait any longer to post it! Heather if you’re reading this, you better wait until after tomorrow to finish reading or you’ll ruin a surprise! With that being said I’ll excitedly continue. I have a niece on the way and I am super excited that I get to do all of the girly things over again. When I had Riley I didn’t plan for all the cute photo ops I would have. I want my niece to look decked out so I couldn’t let her just get pictured in the stenciled monthly onesies I made. 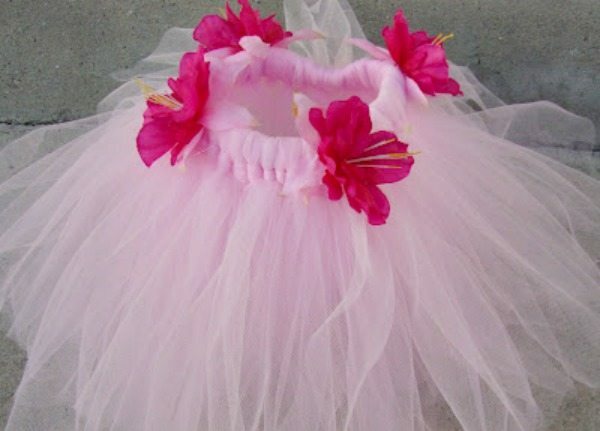 My niece needs to have an infant tutu to wear with it! Cute.cute.cute!!!! How Easy you made this look too! She is going to look adorable in it! Your tutu is lovely I pinned it. Thank you so much for following me via linky followers. I am following you on Pinterest and Bloglovin. So, so adorable! Also, wanted to let you know that I passed on the Versatile Blogger Award to you. Stop by http://www.applesandpnutbutter.blogspot.com to find out how to pass it on. Precious! I LOVE making tutus and all the creativity it entails. Thanks so much for linking to Handmade Tuesdays. Wow, this such a fabulous tutu tutorial! Definitely a project to try in the future. Hopefully by then I will learn how to sew, but this would be a great no sew project. I love all of that girly stuff. You did an awesome job on this! I'm stopping by from Make the Scene Monday, this is my second time visiting your wonderful blog. I've already gotten so much inspiration from it. I just got back from a short trip, I visited right before I left, so I don't remember if I told you I was following since I was somewhat in a rush that day. I am following via GFC, Linky Followers, Facebook, Twitter, Google +, Pinterest and Blog Lovin. Anyway, awesome blog and awesome post! Aww so cute! I bet she will look just precious in it!! My sister just found out she is having a boy- otherwise I would be making a cute girly thing like this!! I will just have to browse for cute boy photo op ideas. Thanks for linking to Scout's Sweet Sundays! I am visiting from over at Home Happy Home but already follow your blog. So pretty!!!! I love it.. no sewing!! This turned out so beautiful! Now I just need a little girl to make this for! 🙂 Thanks for sharing at oopsey daisy! So precious! Thanks for linking up to the Cutesy Monday link party! How adorable! The flowers finish it off perfectly! Thanks for sharing with Beautify It Monday – Hope to see you for week 2! So cute! Wish I had thought of this when my girls were little. Thanks for linking up at Whimsy Wednesday. How cute and easy is that!!! I love it! precious!!! thank you for linking up with Uncommon! Girls are so fun, aren't they? The tutu is so cute. I love the flowers, they add just the right touch. Thanks for linking up to Terrific Tuesdays. So much fun!! Thank you for sharing at Sharing Saturday!! I hope you are having a great week! I love these things! My sister made one for each of my two grand daughters. Adorable! Love the flowers, too, they make such a great addition! One of my first crafty projects was a no sew highchair tutu so I have a bit of an obsession with them. he visto nada tan fantastico como tu escrito. difundieran estos escritos, Internet seria mucho mas practico. escritos tan increibles como este. Thank you for this,it help me create a Princess Dress for a performance. Trackback from Modelos diferentes de vestidos para dama de honra! | Salve a noiva!